In collaboration with the University of Pittsburgh Biological Sciences Outreach program, WISER was pleased to host students from School 2 Career (http://s2c.opdc.org/) for our Introduction to STEM Careers course. High School girls participated in multiple hands-on sessions focusing on different topics in the STEM field. 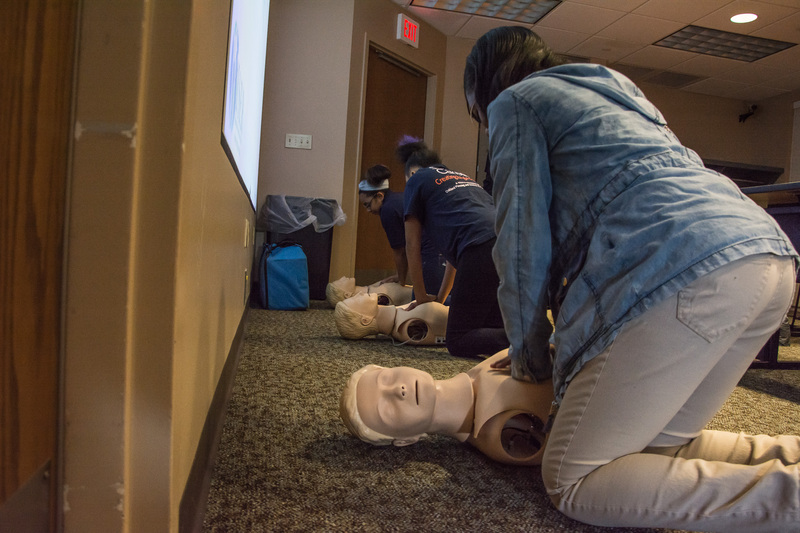 In the community basic life support session, students practiced compression only CPR to the beat of �Staying Alive� , while other students were gathering vital signs and assessing �patients� for symptoms of a viral outbreak. The girls also had an opportunity to learn about different technology and software used during simulation sessions. Finally, the students incorporated the data they gathered from the patient assessment station, to use basic research techniques to identify the cause of an outbreak. A big thank you goes out to Dr. Becky Gonda (Pitt Bio Sci Outreach) and Ms. Lavel Claytor (S2C) for making this such a successful program! 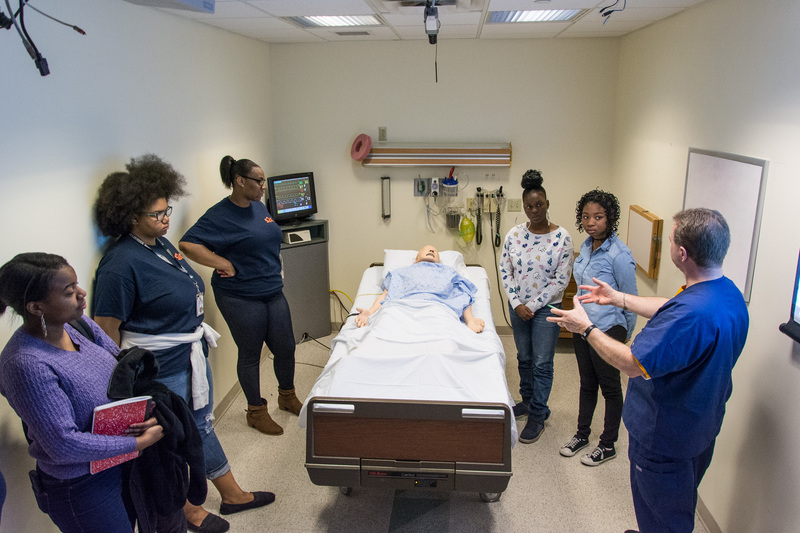 Manager of Simulation Services, Kevin Mircle, discusses taking vital signs with the students. Students practice CPR to the beat of "Staying Alive".